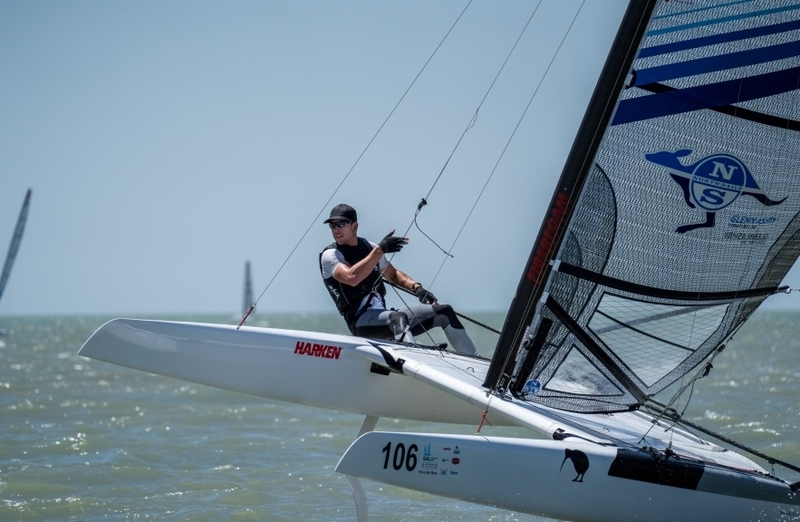 Emirates Team New Zealand team mates Blair Tuke (24 points) and Peter Burling (26 points) pushed hard sailing consistently at the front of the fleet finishing 3rd and 4th respectively overall in the event with at least a dozen Olympians in the fleet. 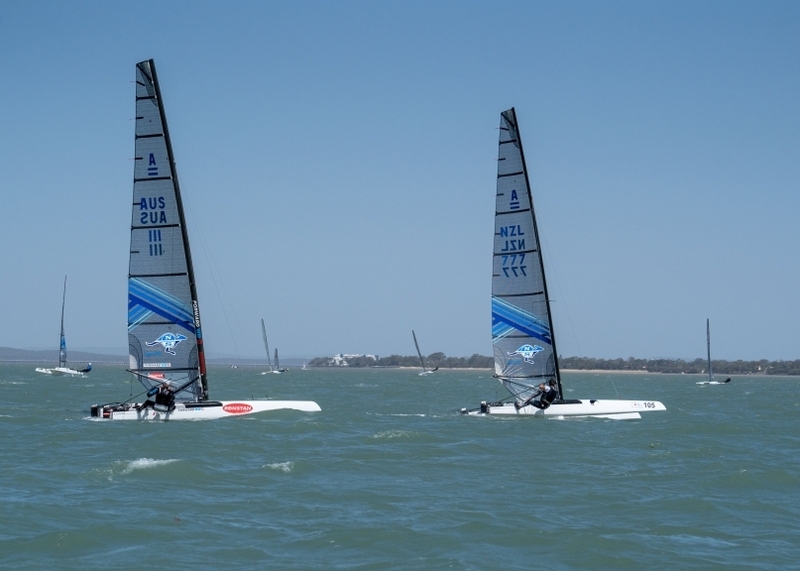 After a two day delay in racing due to excessive winds for the foiling A-Class boats Ashby’s consistency continued with a 3rd & 1st in the first two races on the final day, ensuring he had the World title in the bag again before sailing the last race of the day. Which, in typical fashion, Ashby won the final race with Burling and Tuke close behind crossing the line in 2nd and 3rd. Ashby, who dominated the fleet due to a combination of experience, boat setup, pace and boat handling skills, won the world title with 6 bullets out of 9 races. 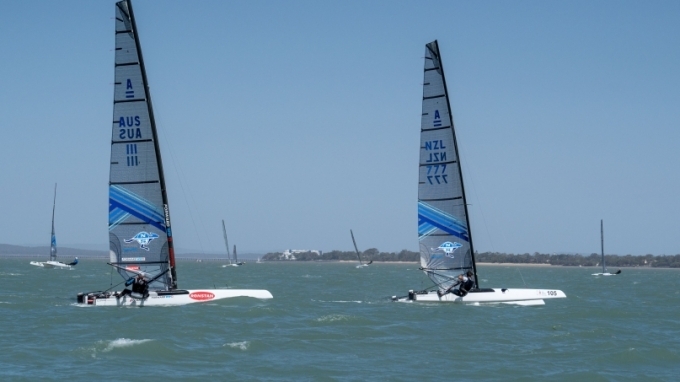 The A-Class Catamarans are an attractive class for the world beating trio from Emirates Team New Zealand. 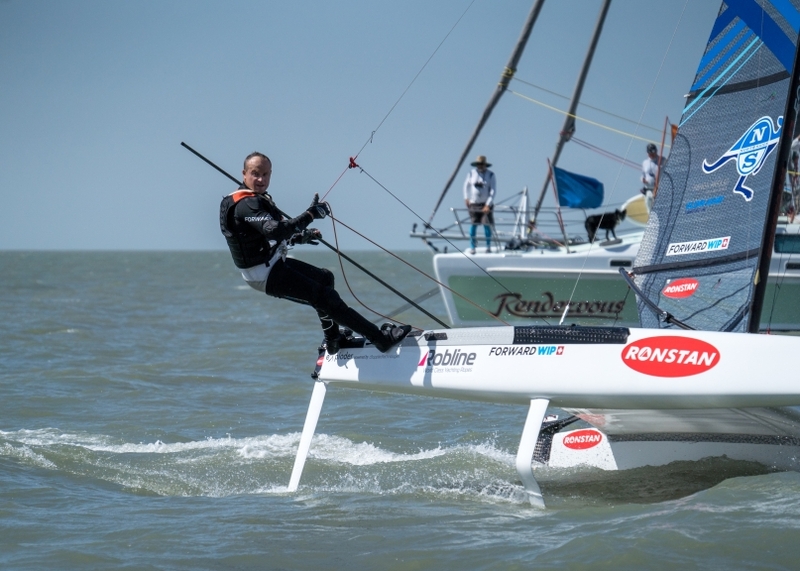 It is a development class of boat, where innovation and design continue to drive the standard and lessons of what makes a foiling boat fast, all of which will relate to the development of the new foiling AC75 America’s Cup boats. 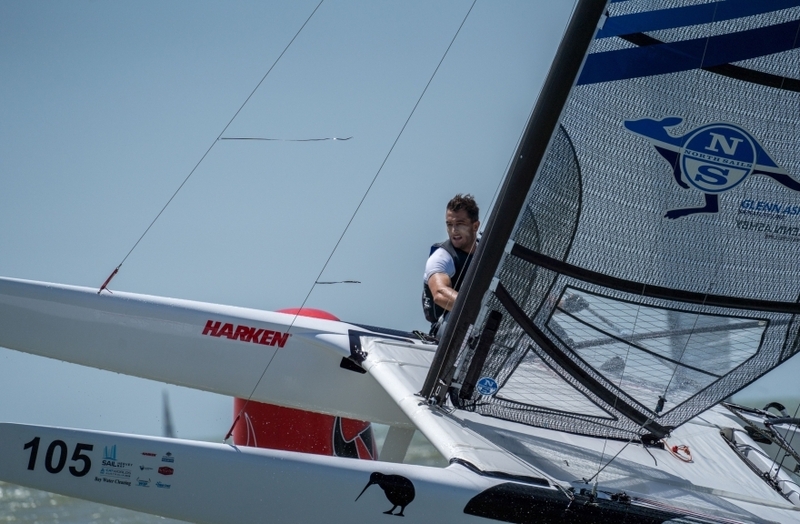 A point of difference between Emirates Team New Zealand sailors and most of the rest of the fleet was the different rake angle they set between windward and leeward rudders. 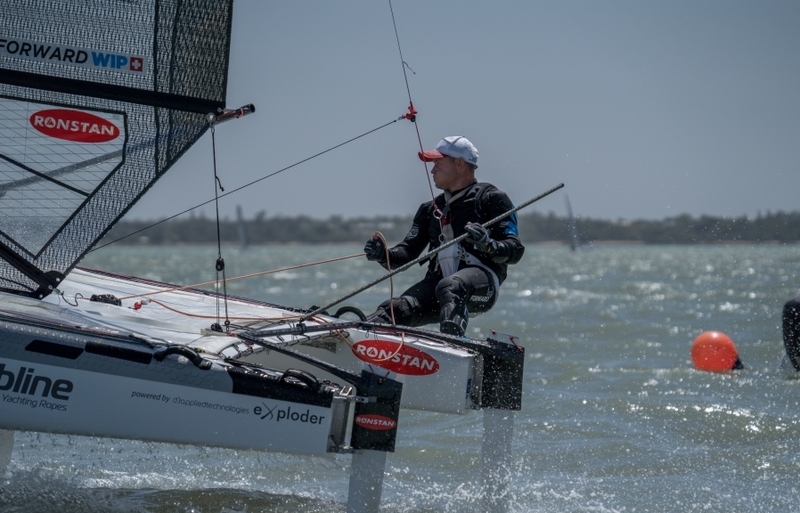 Last week Ashby notched up his 11th Australian National Championship as a warm-up regatta to the World Championships where he won 6 of the 7 races sailed. 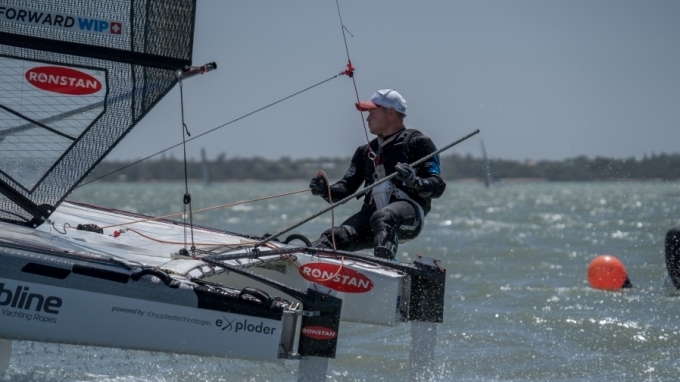 “Of course I’m very happy about winning both the Australian Nationals and the Worlds again. It is obviously an event and a class of boat that is very special to me.” continued Ashby, “What has been really impressive to see is how Pete and Blair have been handling these boats so intuitively after basically four years not sailing them.